At Ray Isle's tasting table. 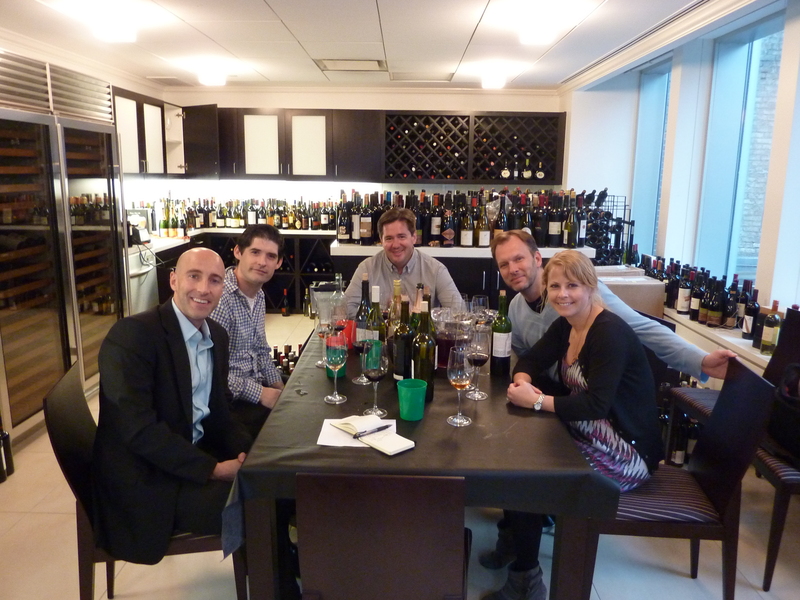 Earlier this week a small group of us went to taste with Ray Isle, the Wine Editor for Food & Wine. I’d like to say I get invited all the time, but rather this was an auction item I bid on last year for Share our Strength. 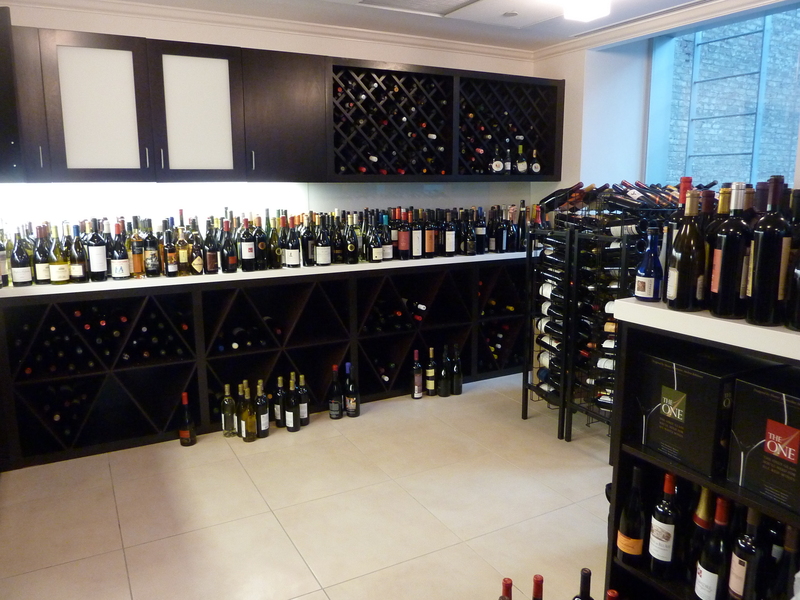 The cabinets, counters and racks in "the office" were overflowing with bottles of wine. I felt right at home. I won’t divulge the wines we tasted quite yet, as I’m hoping part of our tasting will be featured in the magazine within the next few months. Just to give you an idea, though, we tasted some white wines made from red grapes (more off-the-beaten-path than Blanc de Noirs Champagne) and we also gave Ray our opinions on which reds would work well with which burgers for his upcoming event in Aspen. 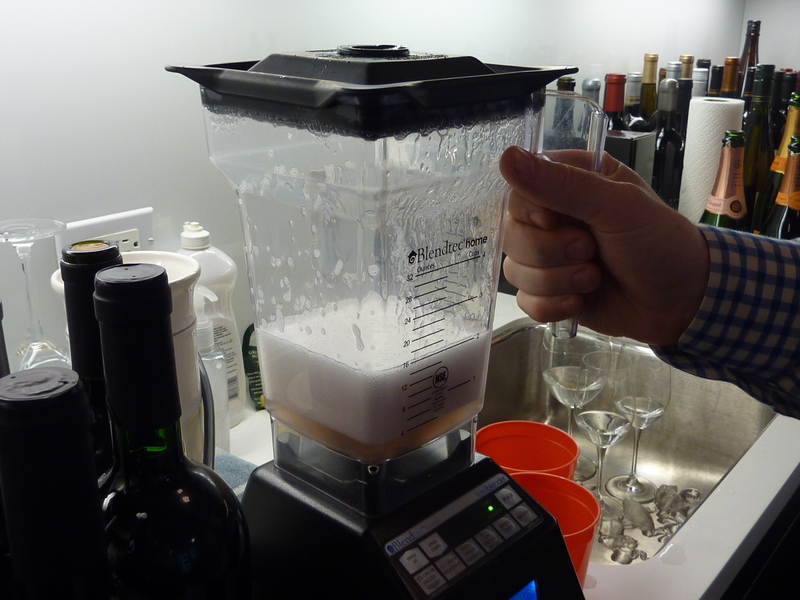 One of the wines had strong reductive odors (think sulfur and canned veggies), so Dave tried to expedite the aeration process using the blender. Oh, a man and his toys.